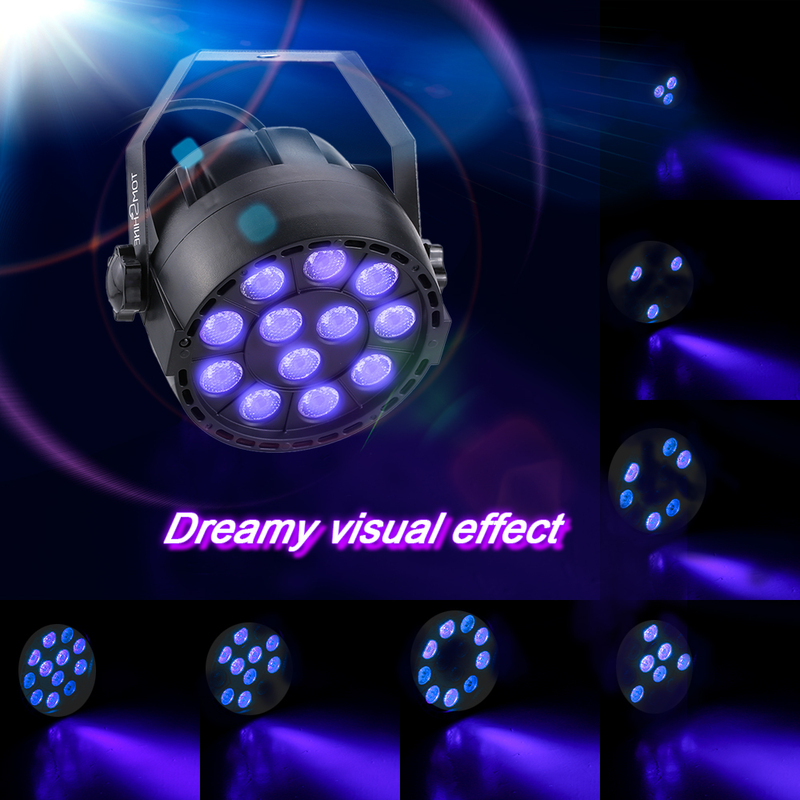 Extremely professional stage par light with 12 pcs purple LED can bring gorgeous visual effects. 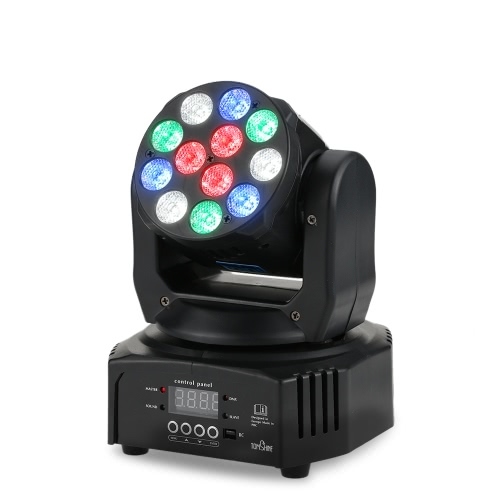 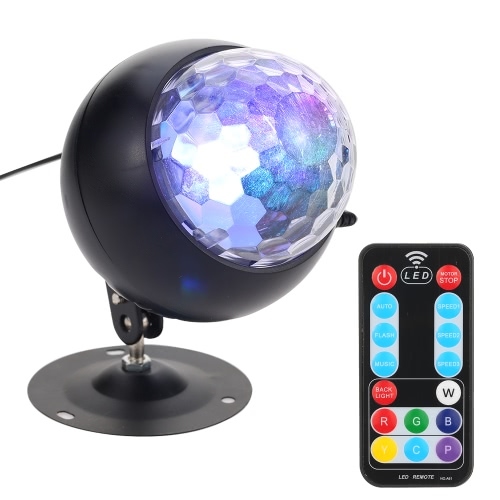 Besides, 4 control modes make it easy to use and various lighting effects can bring you a colorful stage, so it can be widely used in indoor places such as disco, KTV, club, party, pub, bar, banquet, wedding, etc. 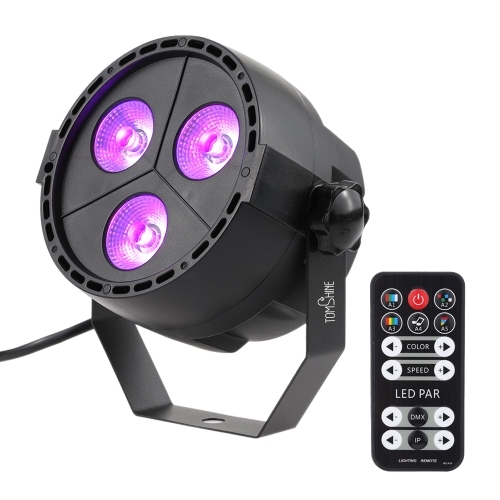 12 LED UV LIGHTS: it can bring your home or party beautiful lights with 12 LEDs and purple lights, just imagining how fantastic it will be when your home is full of charming purple lights. 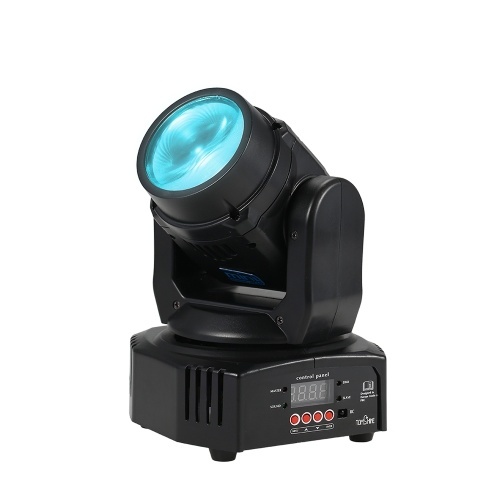 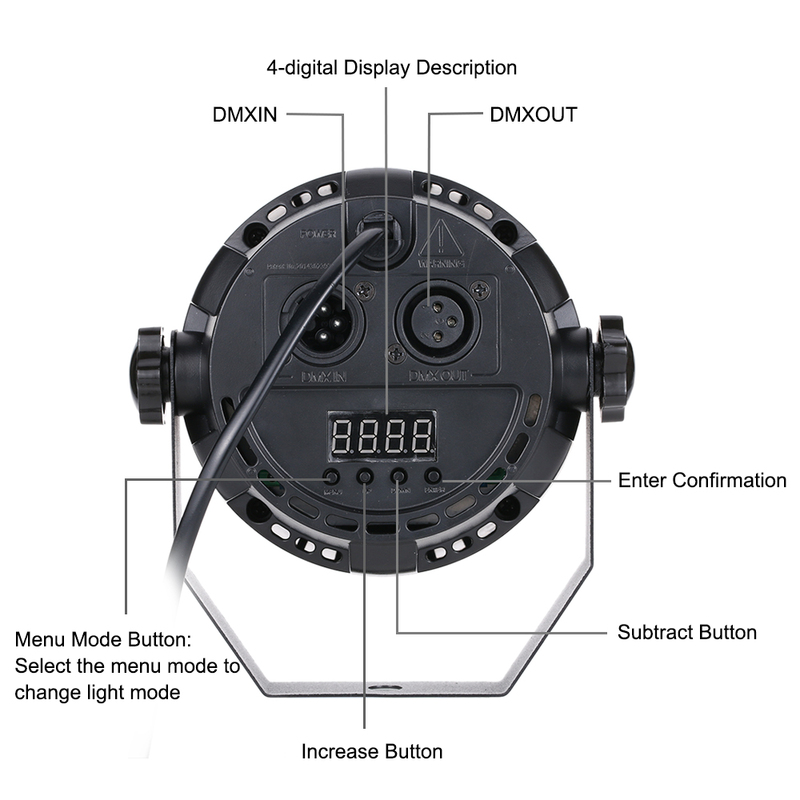 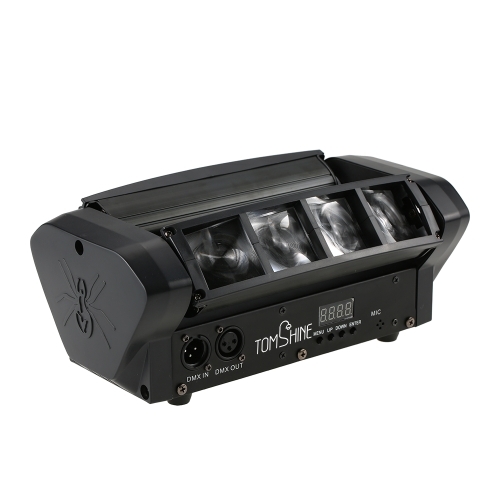 4 CONTROL MODES: supports 4 control modes: DMX512, master-slave, sound-activated and auto modes by sliding the button on the back of this light, digital display for easier operation, very sensitive to music rhythm, flexible to use. 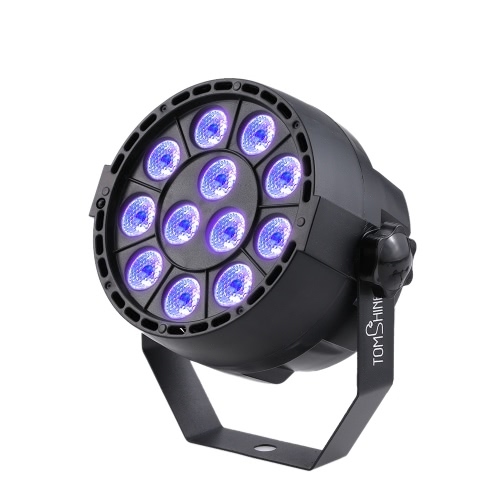 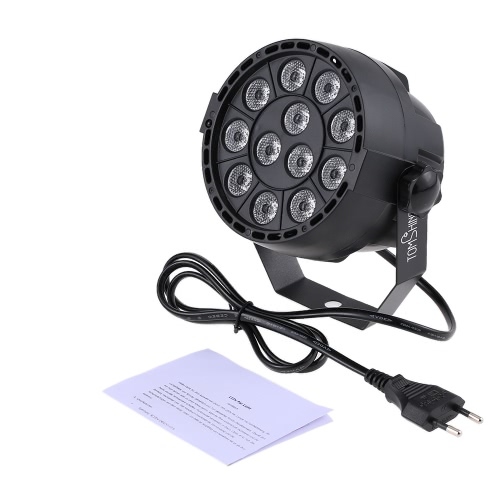 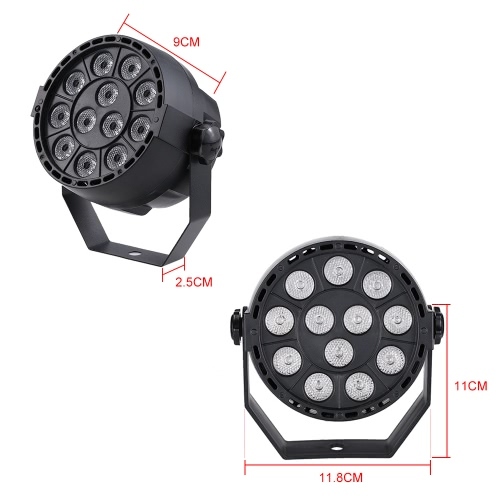 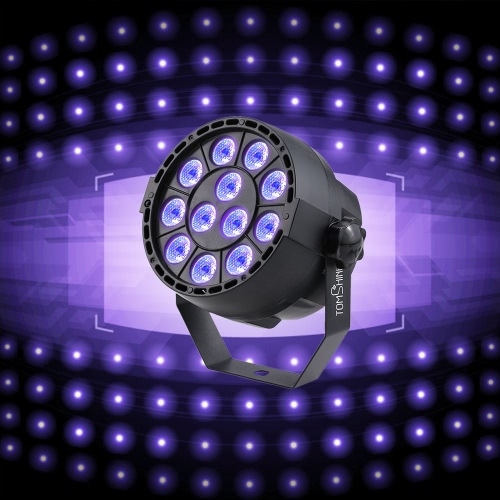 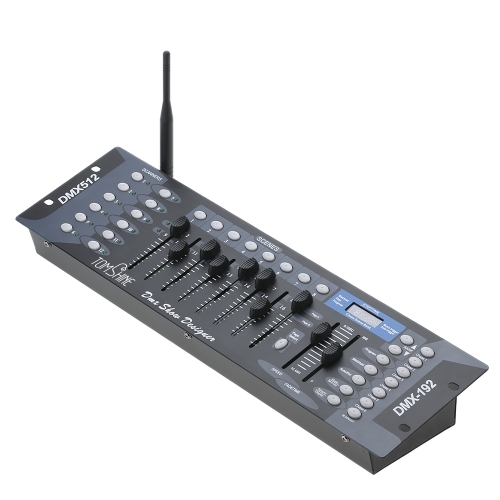 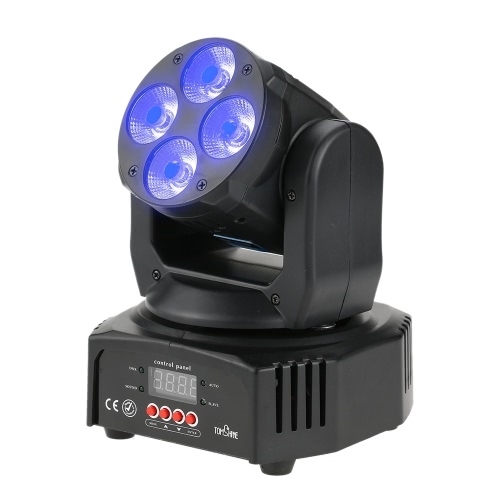 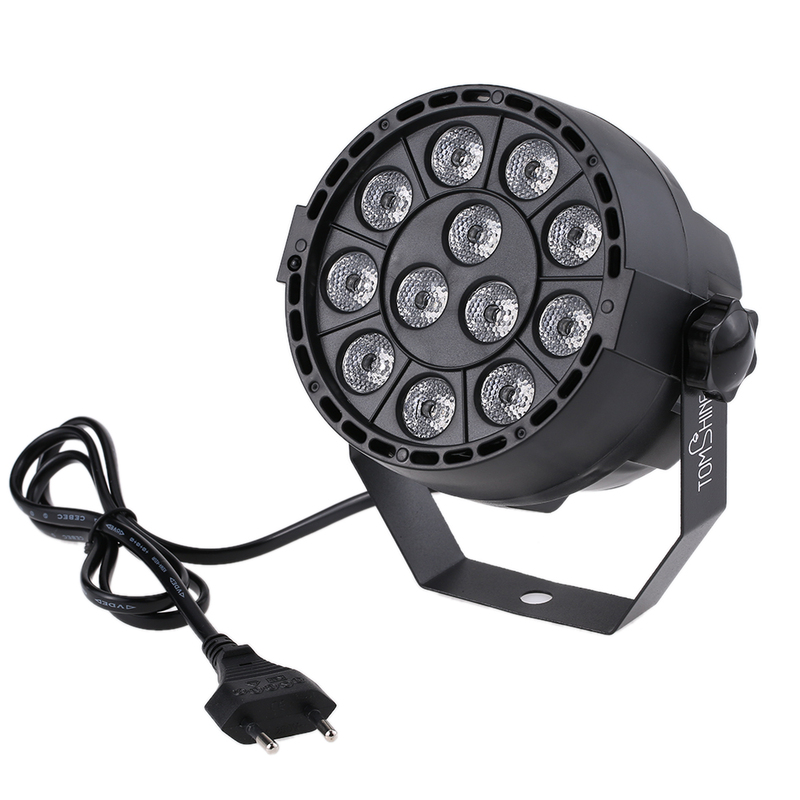 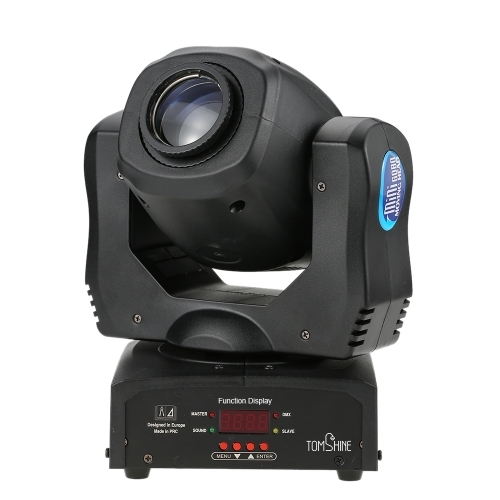 PROFESSIONAL: professional purple light, professional 8 channels for DMX512 mode and professional par light design ensure that it's really a professional stage light which can work perfectly. 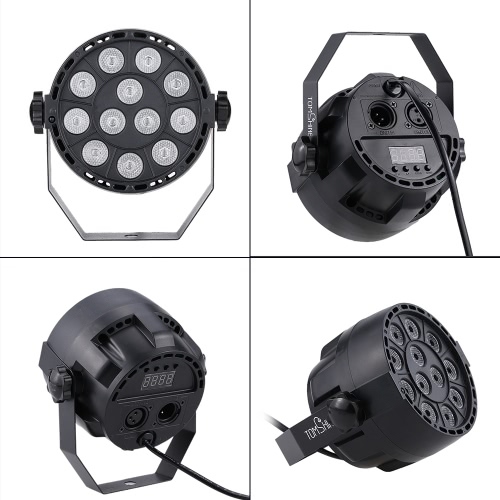 LONG LIFESPAN: the lifespan of this light reaches up to 10,000 hours, which really means rarely changing the light, power saving and cost saving. 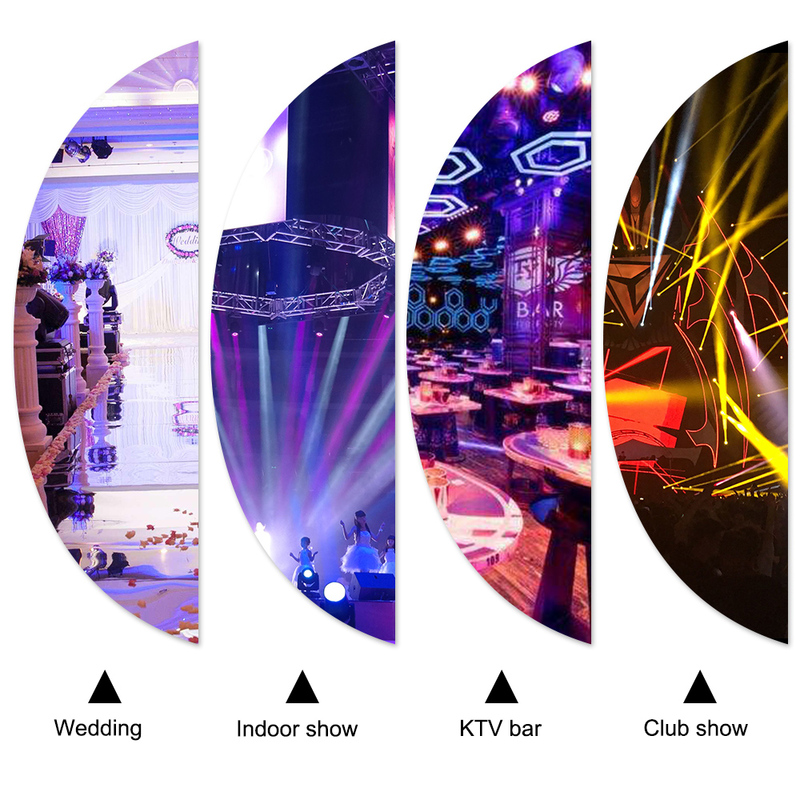 APPLICATION SCENE: smooth 0-100% electronic dimming and adjustable flash speed, it's very suitable for indoor use like disco, KTV, pub, bar, wedding, home party, school show, Xmas, club, banquet, etc. This product is intended for indoor use only, not waterproof.